Impact Atlas is a real-time intelligence platform transforming the way social programs are managed and financed. The Future of Development is Here. Personalized, dynamic program lifecycle delivery to transform the way development programs are managed and financed. Activate your vision most efficiently. 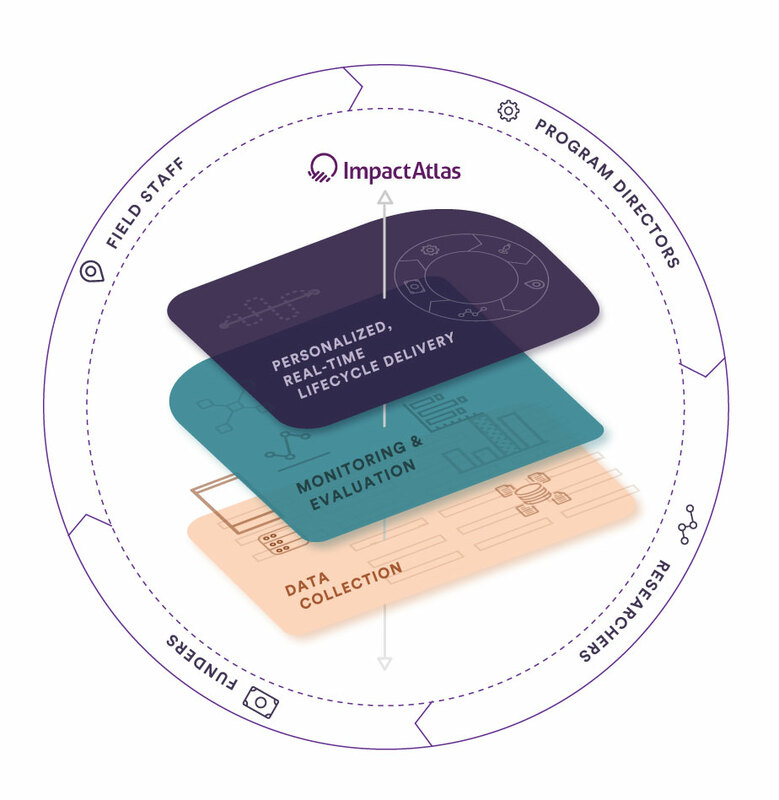 The set up of the Impact Atlas platform helps you navigate key strategic considerations of program design, drive alignment across stakeholders, and cleanly implement workflows, metrics, and target outcomes. Get the right service to the right people. 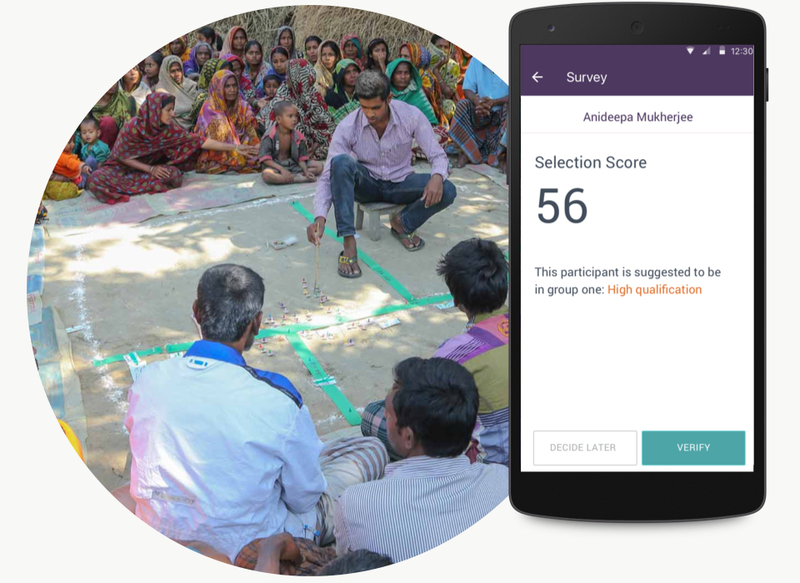 Configurable registration and verification process ensures you reach your true target population, can group participants into different workflows, and identify early opportunities for program optimization based on population data. See what's happening in real-time and act on it. 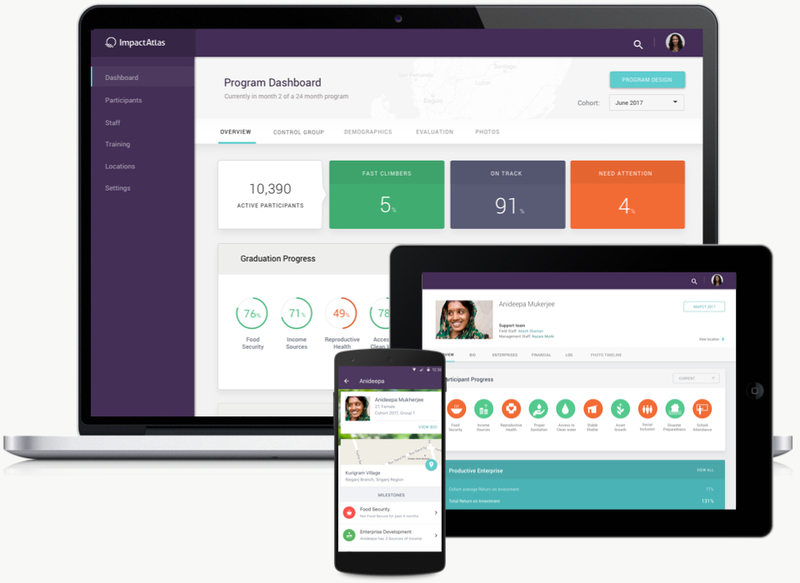 Progressive indicator tracking puts actionable program and individual participant information into the hands of frontline staff and management in real-time so you can adapt and personalize program delivery for maximal outcomes. Gain essential insights to test, pivot, and manage. 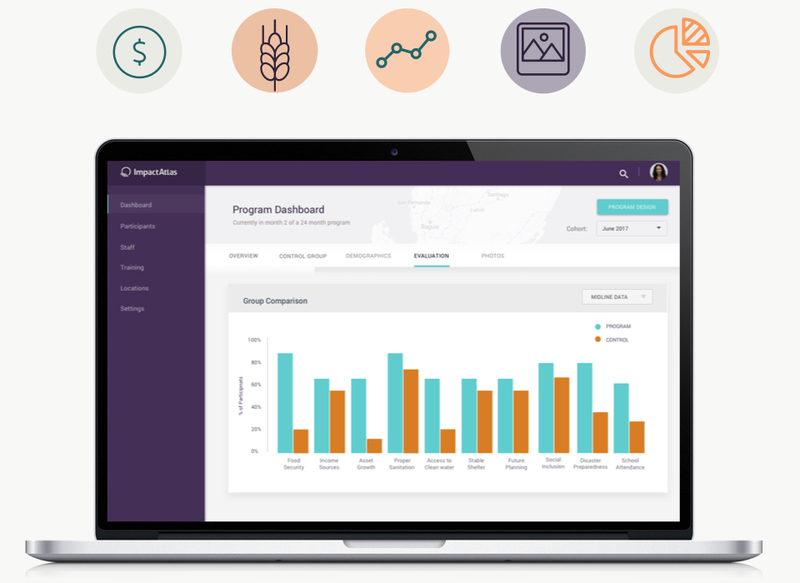 Aggregated and telescoping dashboards help you visualize key trends across cohorts, regions, staff and down to the participant level to gain management efficiency and ensure you deliver the highest quality programs.  Communicate and capitalize on your impact. 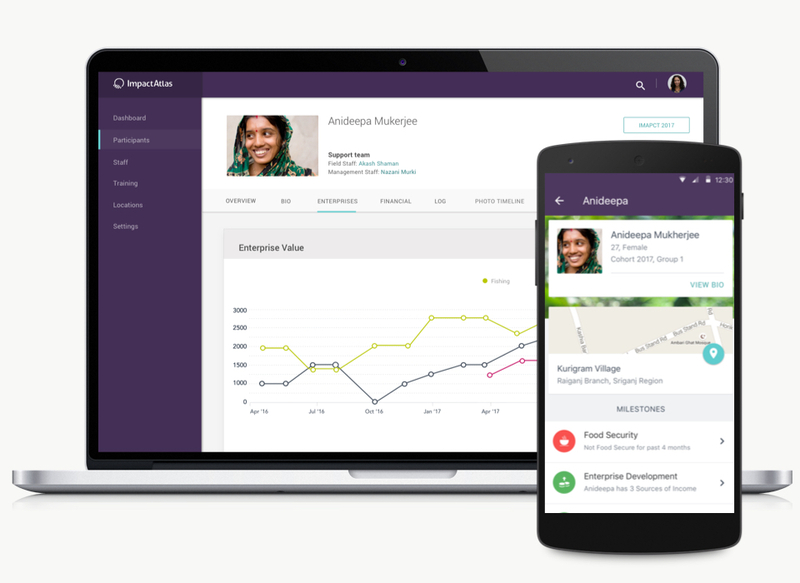 Leverage real-time data and transparency into programs and participants to help you promote confidence in program efficiency and efficacy, drive human storytelling and connection, and compel increased philanthropic funding. Impact Atlas enables NGOs and governments to reach more people in need, provide better services, and lower the costs of impact and overhead. For philanthropic donors, Impact Atlas provides transparency into outcomes and program efficiency, facilitating discovery of best in class programs and validation of investment objectives. Impact Atlas fuels operational research and Random Control Trials in parallel, representing the opportunity to augment traditional long-cycle evaluations with real-time insights and learnings. 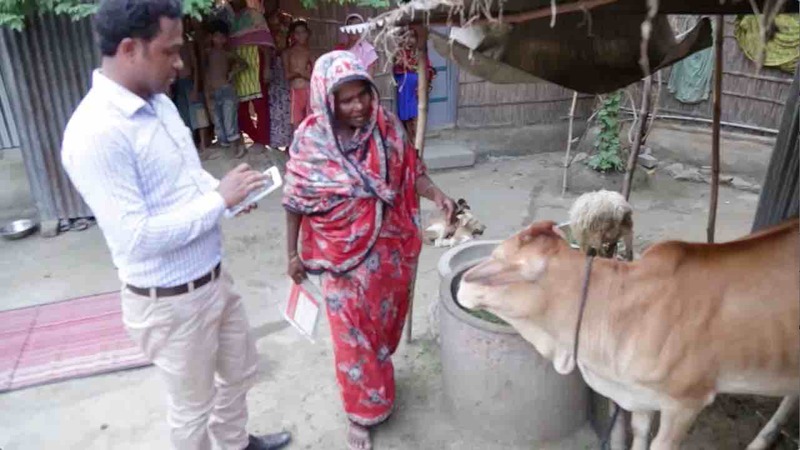 Using Impact Atlas has given Opportunity International critical insights as we roll out our Ultra Poor Graduation program, enabling us to better tailor our services to the specific needs of the families we serve so they can lift themselves out of poverty. We are excited about using Impact Atlas, since working with real-time information will allow us to deliver maximum impact. Not only we will be able to identify and reach our target population more efficiently, but we will also be able to make real-time decisions and implement course corrections while the program is being implemented. As we expand and scale our graduation programs across multiple countries and regions, reaching thousands of families living in extreme poverty, we plan to continue to use Impact Atlas and further use the data for comparative analyses. As a funder, the transparency enabled by Impact Atlas will help us better understand the specific use and impact of our investment, ensuring that our support is tied to effective interventions and the highest quality programming. 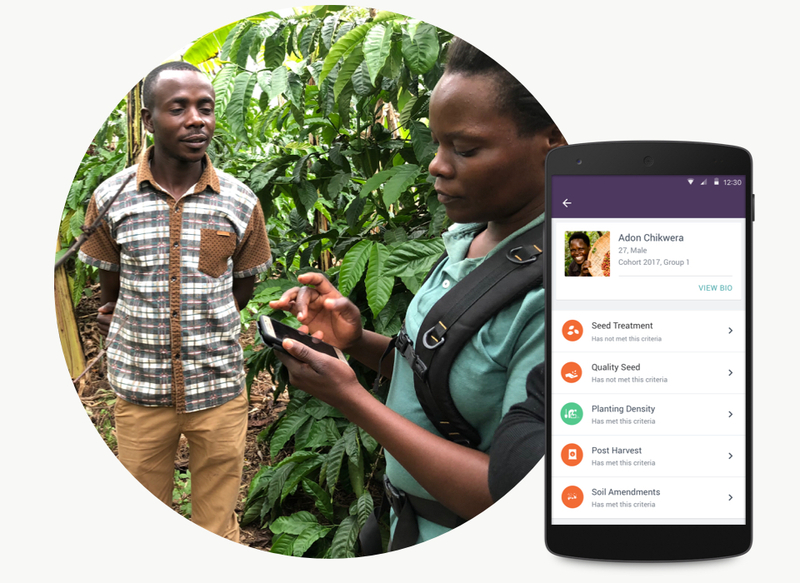 From initial program design to final reporting, we are excited about the real-time visibility Impact Atlas will give us into our farmer training programs and participant outcomes, so that we ensure we adapt and deliver the best possible impact with the available resources. 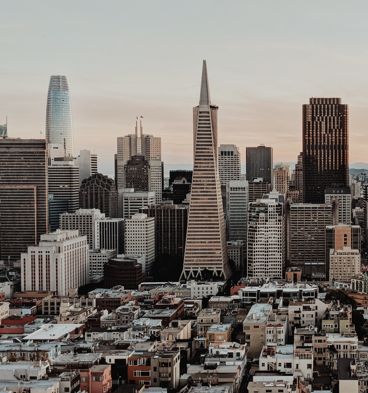 The Impact Atlas team combines deep experience leading social change initiatives, building technology companies, and catalyzing ecosystems with strategic, collaborative, long-term relationships.